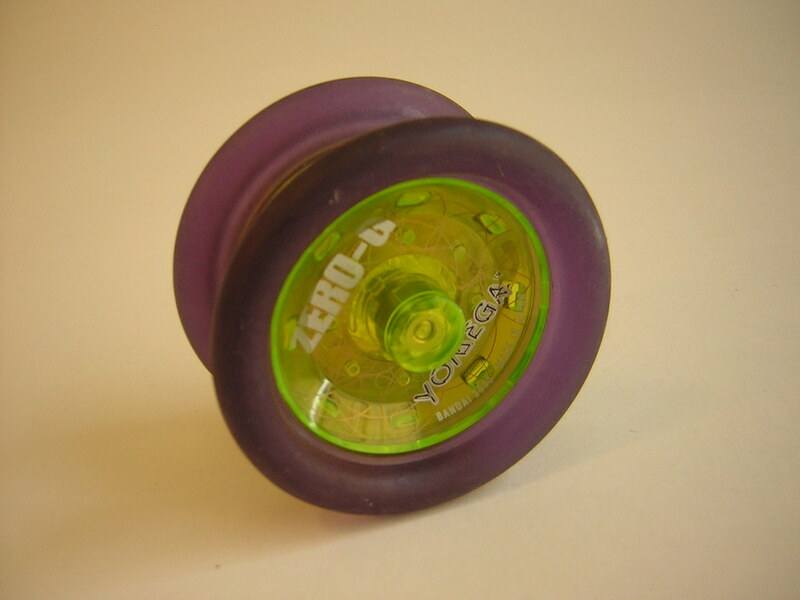 The Zero-G was a highly anticipated offstring yo-yo that never actually hit the market. 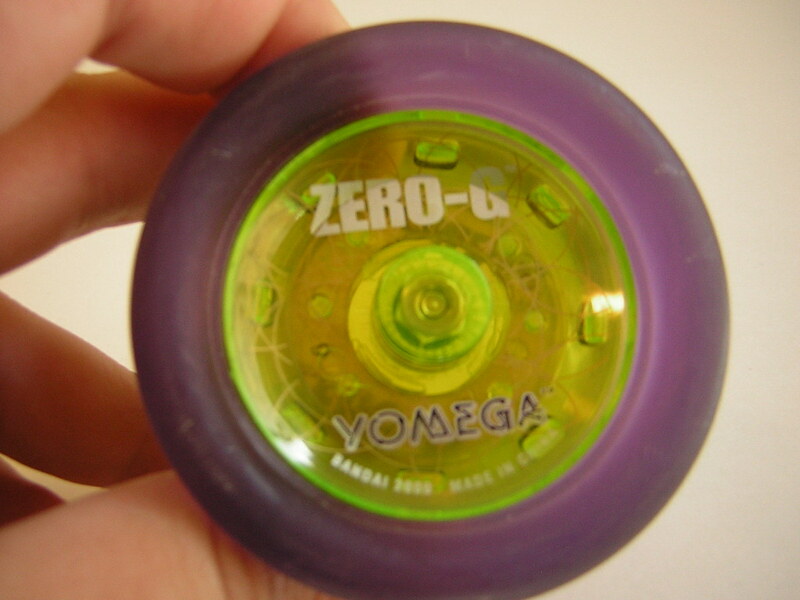 It was one of Yomega’s first attempts at creating a rubber shelled yo-yo, a effort that would again appear in their Xodus, Crossfire, and Lancer. Friction stickers and rubber shells seemed to be the two patented items that everyone wanted. Just as companies were trying to work their way around the friction brake pad patent, many were also trying to get around Henry’s patented removable rubber shells patent. Yomega’s idea was simple, don’t make the shells removable. 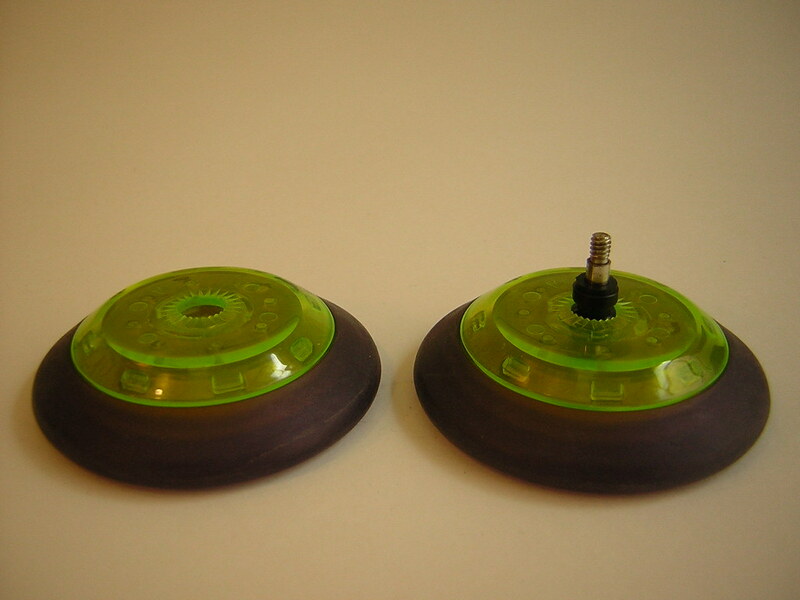 Which also solved the problem of how to work with soft rubber without it flying off of a high spinning yo-yo. the Zero-G’s plastic shells are assembled over the rubber shells, locking the shells in to place and making removal of the shells impossible without dis-assembling the plastic body. Those who are familiar with the new “soft-core” process that Yomega are doing with yo-yos like the Crossfire, you may notice similarities between the assembly of the Zero-G and that of the Crossfire. These never made it into production…at least not under the Yomega name. They were designed and manufactured by a Chinese company, the same ones responsible for the X-Brain and Firestorm. They ended up being released a couple of years ago as a premium model in the YoTech line in Australia, distributed by a firm called Britz N’ Pieces. I think the production version ended up being ball-bearing. The reason that much of Yomega’s stuff did not have interchangeable parts (and much of it still does not) is that they outsourced a great deal of design work to China…and they have no interest in making things compatible with other things. Mostly Yomega just slapped their logo on stuff that was already designed and seemed to sorta fit in their line. Not the best way to go about doing things, which is probably part of the reason that Yomega is so far behind the rest of the industry these days. This is a damn rare piece, and should go for top dollar. Good luck with the auction. I have one of these too.